In November, a federal judge made the breathtaking order that all copies of Too Human had to be destroyed by its creator, Silicon Knights, as part of a $4 million judgment awarded to Epic Games in a nasty six-year suit-and-countersuit court battle between the two. We now see that this extended also to digital copies of the game, as anything associated with Too Human, an Xbox 360 exclusive, has been wiped from Xbox Live. Eurogamer reports that it means not only the Too Human game itself has been purged from Xbox Live Games on Demand, but also its demo, any videos, pictures, themes, anything. Kaput. According to the terms of the judgment, Silicon Knights had to recall all of this stock—paying the costs of doing so—and report to the court and to Epic on Dec. 21 and Feb. 21 that it had complied with the order. Lest you think this was entirely Epic's doing, remember that Silicon Knights itself brought the lawsuit that resulted in this judgment, a Matlock-esque reversal of fortune. When it went to court, Silicon Knights had alleged that Epic failed to provide a working game engine for Too Human, resulting in the years-long production delay that made the title an object of ridicule. Silicon Knights also charged that Epic withheld an improved version of the Unreal engine, and used licensing fees to, in bad faith, fund its development of Gears of War and not improve Unreal. Epic, in turn, claimed Silicon Knights breached its license agreement, misappropriated Epic's trade secrets, and infringed Epic's copyrights in using Unreal Engine 3 code in Too Human. Guess who won. If this isn't the end of Silicon Knights, it is at least a brain-rattling knockdown counterpunch to the studio, whose president and public face, Denis Dyack, was well known for committing the unpardonable sin of blaming the audience when Too Human thudded after its long overdue 2008 launch. Since then Silicon Knights, which Dyack once proudly exclaimed was one of the oldest developers still around, laid an egg with X-Men: Destiny and pared its employment roster down to a skeleton crew. 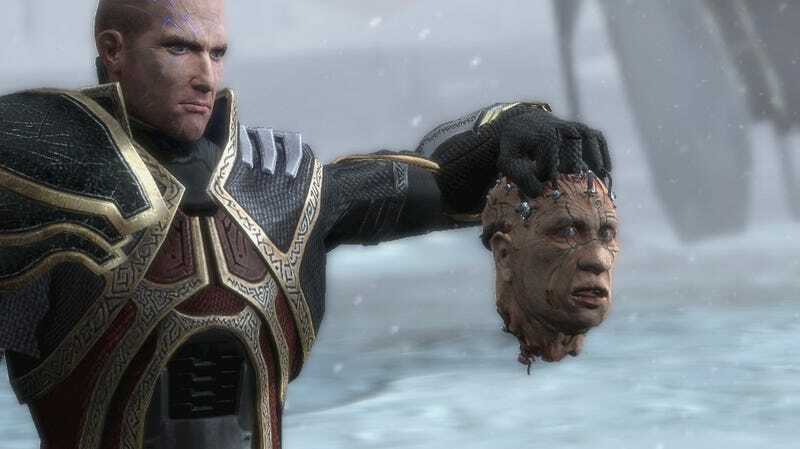 Considering the sneering popular reaction to any mention of Too Human, if Silicon Knights has any hope of survival it may be a blessing that this albatross of a flop of a game is being KGB'd from existence by court order.